In honor of National Eat Your Vegetables Day, I’m reposting a yummy photo of my veggie box from Singing Frog Farms. 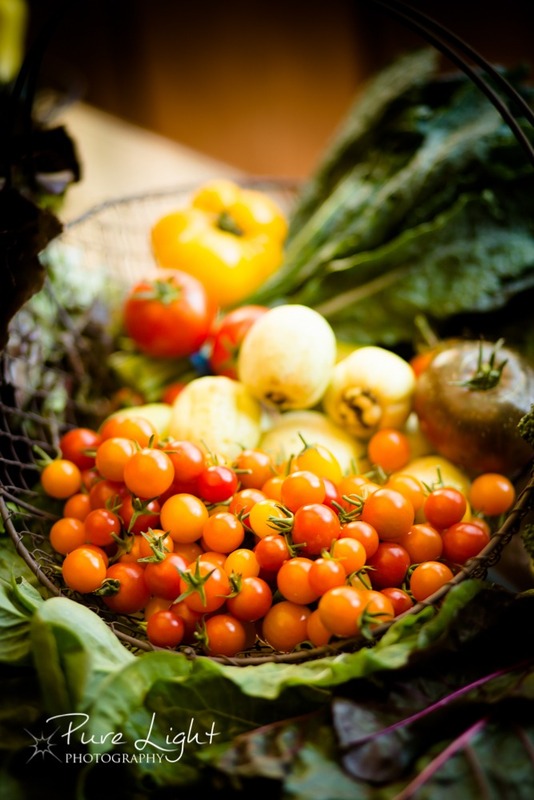 I love what we get each week from their bountiful property in Sebastopol. This image is from last year’s first box. I can’t wait for the tomatoes again this year! 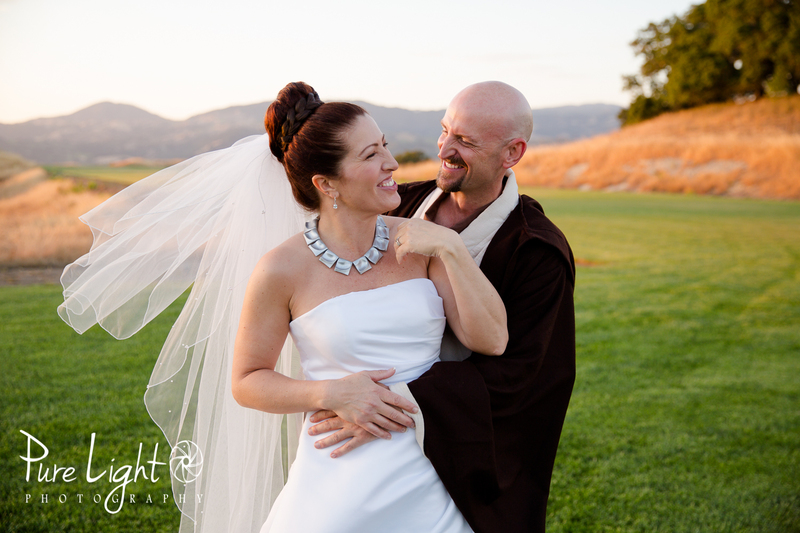 As my second blog post for the Keepin’ It Real Blog Series approached, I watched for laughter around me. What does real laughter look like, when does it happen, and how does it make you feel? I often type “Ha!” or “LOL,” but those are just placeholders for the genuine emotion. 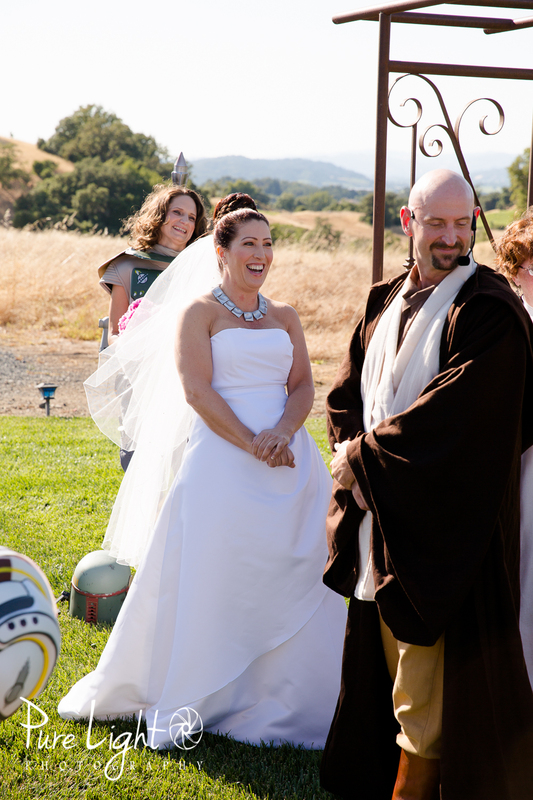 I’ve had the honor of photographing three weddings in the last four weekends, and realized that my favorite images from those weddings are the moments of Real Laughter. Stories happen during weddings, joyful emotion happens during weddings, and I have gotten so caught up in the moments of stories and joy, that sometimes I just want to feel it rather than photograph it, but then I remind myself that it’s okay to laugh and cry behind the camera as long as I remember to push the button at the right times! 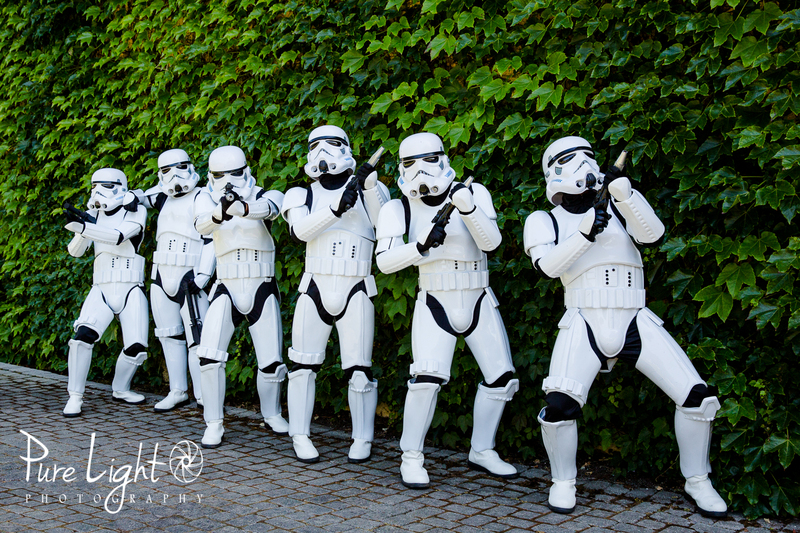 Super fun Star Wars theme wedding a couple of weeks ago provides us with the perfect examples of Real Laughter and joy. 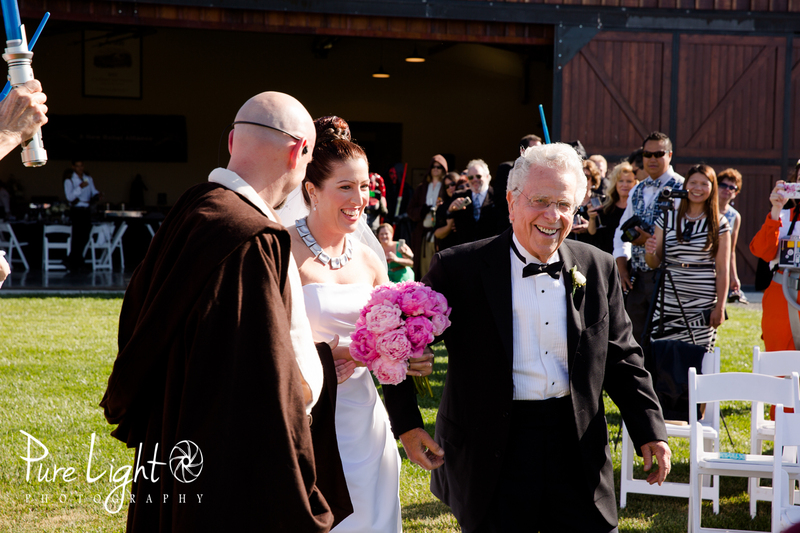 During the ceremony – groom kisses father of bride, everyone laughs. 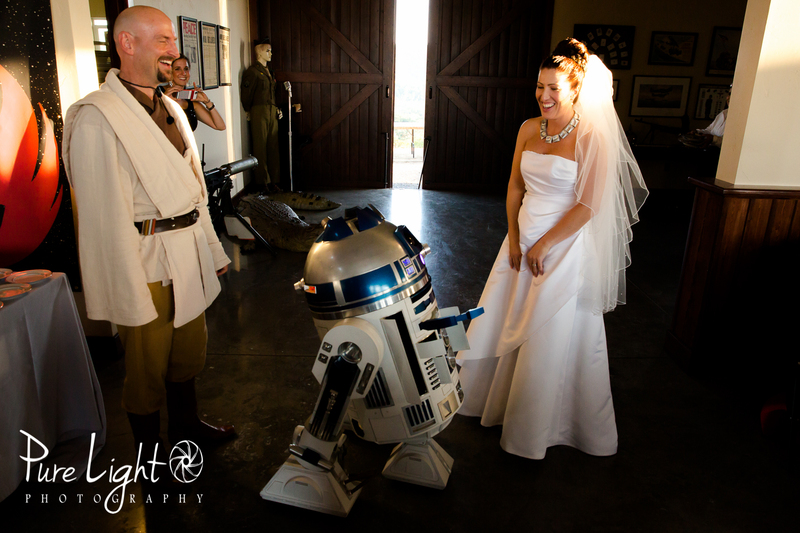 The best man forgets he has the ring….. 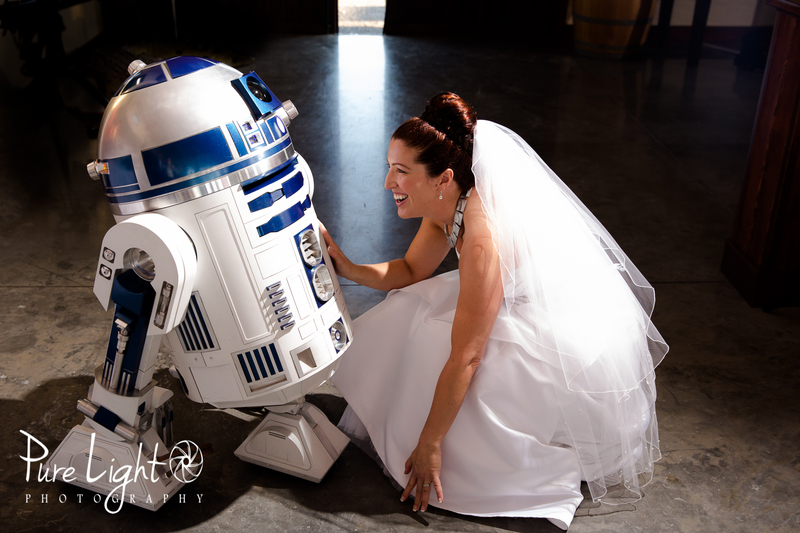 The bride kisses and says hi to R2-D2, his whistles and flaps go crazy, and the laughter ensues…..
Toasts…. need I say more? 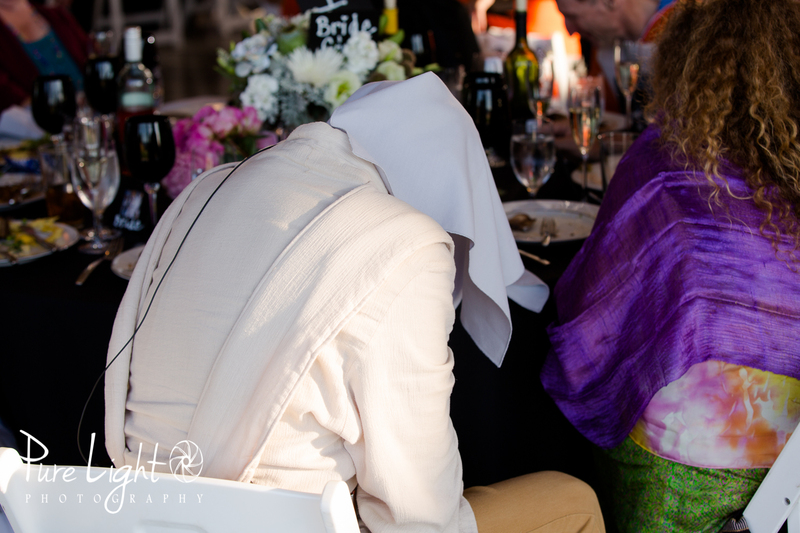 That’s the groom under his napkin…..
And portraits, beautiful sunset in a vineyard, the laugh yields one of my favorite images of the night. 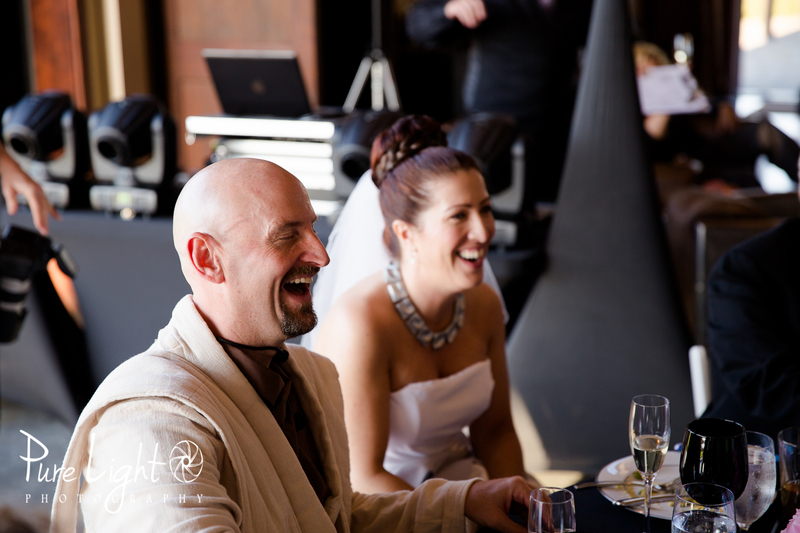 Thanks for the honor of capturing your Real Laughter! 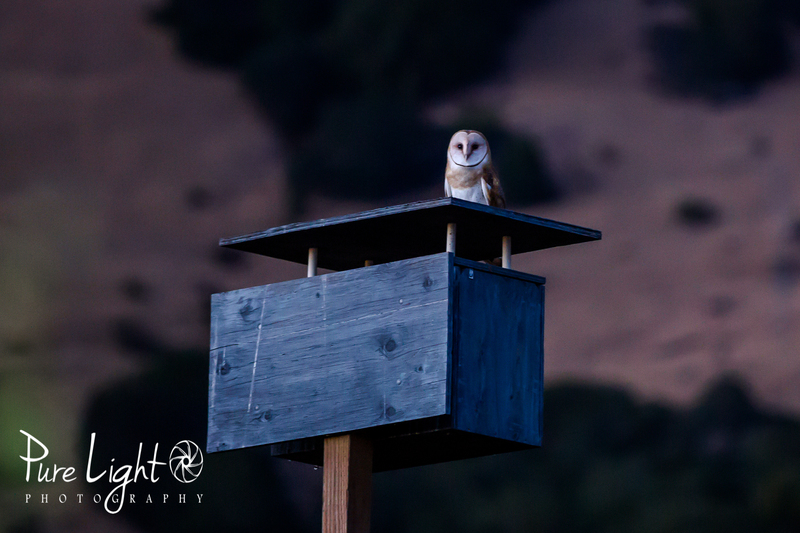 A fun night at Kick Ranch, owls, a gorgeous sunset, and some vino in the vineyard…. Capturing the owl in a photograph will never capture the awe that I feel when watching them fly overhead. Tonight there were four of them. One sat and watched us, another tried to join, and two were circling around making awesome sounds. 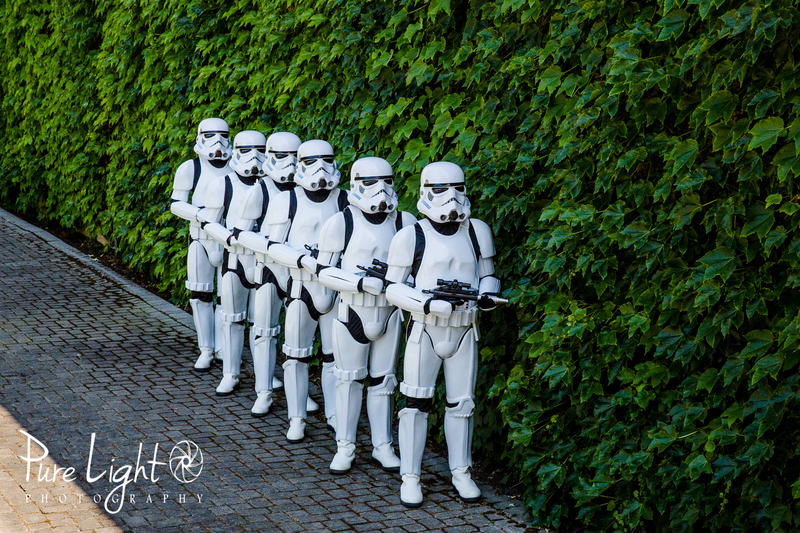 Nature is so spiritual…..
And here is the official sneak peek of the epic Star Wars wedding I was lucky enough to attend AND photograph! 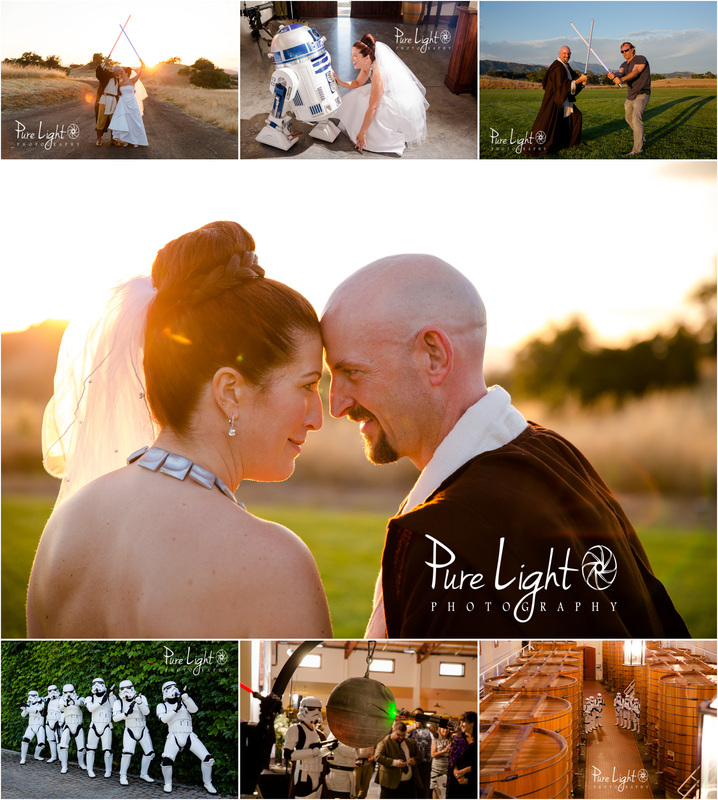 Thanks to Cara and Andy for trusting Pure Light Photography with documenting ‪#‎anewrebelalliance‬! 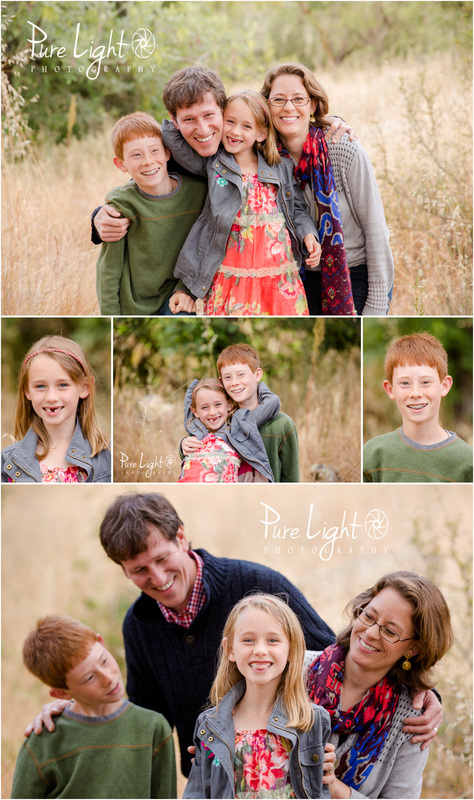 A quick sneak peek from yesterday’s session, Peyton stole the show with that smile! Ok, here’s one tiny glimpse of ‪#‎anewrebelalliance‬ for everyone to enjoy for now. 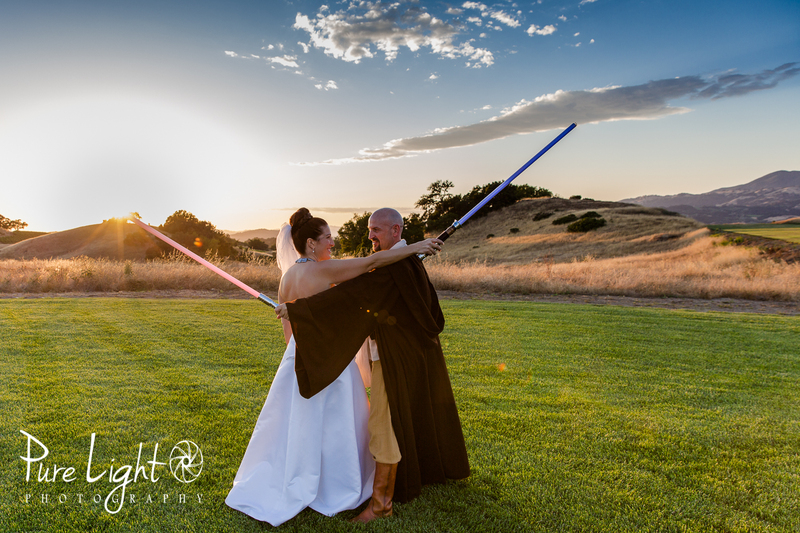 What a wonderful event, thanks for the honor of capturing this saber light! Congratulations to the class of 2015! 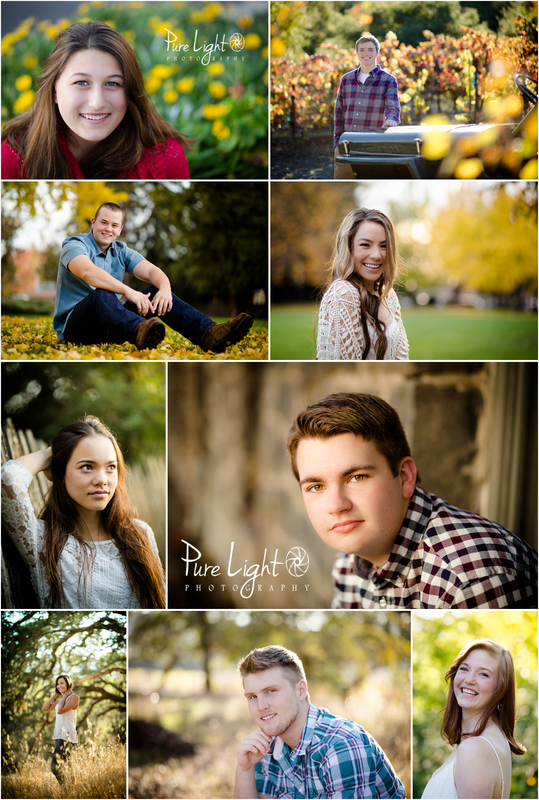 This is the first year of business for Pure Light Photography, and I’d like to thank these wonderful seniors and their parents for trusting me with their portraits. I wish you all the best that life (and your effort) will bring! Spending time with this nature-loving family yesterday was wonderful! A former student and his little sister sure made me smile with their rollie pollie gathering and antics. You can see their love!